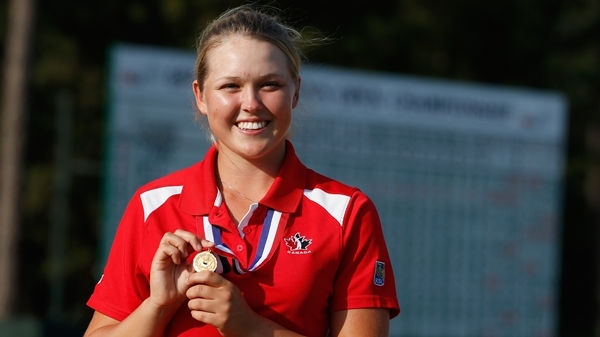 PINEHURST, N.C. – There’s no doubting Team Canada’s Brooke Henderson knows how to rise to the occasion. She’s won major amateur events like the Porter Cup and the Spirit Invitational. She’s the youngest golfer ever to win a professional golf title. And now, in perhaps her biggest feat to date, the 16-year-old Smiths Falls, Ont. native captured low amateur honours at the 2014 U.S. Women’s Open at Pinehurst No. 2 – where she finished tied for 10th at 5-over 285 on the devious track. Henderson, who had her sister Brittany as her caddie this week, improved on the tie for 59th she recorded in her first Women’s U.S. Open last year at Southampton, N.Y. She credited her ball striking in the final round for part of the improvement. She had five birdies, two bogeys and a double on Sunday to be exact for a 69, her lowest round of the week. A round she likely didn’t see coming a week ago. Thanks to her finish at Pinehurst, Henderson automatically qualifies for the 2015 U.S Women’s Open being contested at Lancaster Country Club in Lancaster, Pa.
Henderson outlasted the world’s top women’s amateur golfer in Australia’s Minjee Lee, who finished 3-shots back of Henderson at 8-over 288, to claim the low amateur title. Brooke and Brittany will have little time to relish in the moment. 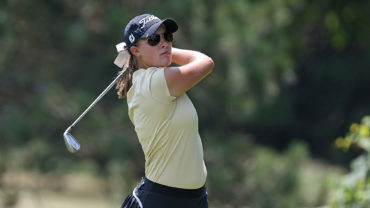 The pair headed north Sunday evening as they will face off against each other, and others, at the Canadian Women’s Tour event at Legends on the Niagara’s Battlefield Course in Niagara Falls, Ont. which gets underway Tuesday. 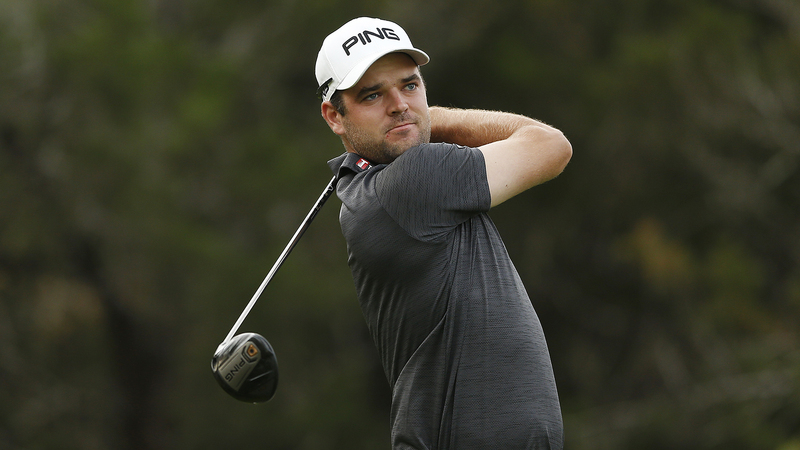 For more details on that event – which offers an exemption into the 2014 Canadian Pacific Women’s Open – and the Canadian Women’s Tour, click here. And, click here to watch an interview with Brooke following her final round at the 2014 U.S. Women’s Open.